244 readers have visited this universe since xXxCryptic-AngelxXx created it. The kingdom of Kett is an ancient stronghold known for its stability. With its strong military, ready materials from the mountains, and extensive farm lands, Kett was able to provide for itself in ways surrounding lands could not. For centuries, neighboring kingdoms had tried to conquer Kett, but none succeeded. Though few came dangerously close. A new threat has made itself known, a magical adversary from a neighboring continent is looking to expand their lands overseas. Kett, a kingdom without magic, is in trouble. Most of the common people are hopeful. They've survived many attacks, the gods smile down on them and will protect them. Those in power are not so sure. Their hope lies in a stone of legend. 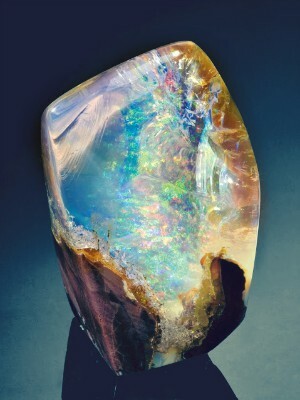 A gemstone the size of a man's fist known to hold an ultimate power. Though no one knows exactly what it does and no one is sure it really exists, one individual volunteers to go looking for the stone: The princess of Kett. While she follows a map of myths and legends for places the stone might be, she's captured by a tribe of the Tezarra people, a native people known for their use of magic and rituals. While imprisoned, the princess manages to strike a deal with the tribe. Their own princess helps her find Ketiqua, The God Stone and she gives them something in return. Something to be decided later--once she proves her worth to them. The journey is long and dangerous, especially with enemy soldiers close behind. Will the princesses make it to the stone, or die trying? Before the sun’s finger-like rays gripped the horizon, the princess of the Tezarra people rose. She enjoyed an early morning warm up. Fewer interruptions, cooler weather, and the darkness was perfect for low-light combat training. But first… archery. With a giggle of anticipation, she retrieved her bow and her quiver of arrows and headed to the range. It was a distance away from camp to avoid anyone accidently getting shot with an arrow. It also allowed for a greater distance of shots. If Freya was being honest with herself, the course wasn’t a challenge for her. She had far surpassed anything the course offered, but it was as familiar as the air around her and it was the perfect way to stretch and warm up her muscles. She shot standing, crouched, and even while rolling. Each time the arrow hit the center with a satisfying twang. She smirked confidently and moved to retrieve her arrows. The sun was peeking over the horizon now, covering the land with the warmth of its rays. By ten hands, it would be warm and if their aerokan--or user of wind magic--was correct, the summer breezes would be blowing through the grasses by high sun. With nothing planned for the day--a rare occurrence for the Tezarra people--Freya looked forward to napping in the sun. Today marks the hundredth sun cycle since the founding of their tribe and tonight would be full of food, music, a ritual to Tella--the goddess of stability, blessings, and bounty-- and possibly even some Moonflower powder. A drug known to her people as Revera. Excitement humming through her veins, she returned to the camp to return her bow and quiver and offer her assistance to her people. She offered her assistance to the bakers and the cooks, but knowing her history of orchestrating meals, they waved her off with smiles and promises of needing no extra help. Then she went to the loggers who were chopping the firewood for the bonfire. They had the same response. Frowning and disappointed, she moved on to the hunters. This time, she had success. They asked her to help them catch and kill meat for the feast. They knew what an excellent shot Freya was and made their request wholeheartedly. Now she moved silently through the forest, a few rabbits strapped to her belt. She had to retrieve her bow and quiver once more, and put on sturdier, lighter boots so she wouldn’t make much noise in the brush while still allowing her to protect her feet from things that bite. She heard shuffling through the trees to the east. As her blue eyes searched the area for the source, she lowered herself to the ground, waiting. There! She reached back, drawing an arrow from her quiver and knocking it. Her fingers brushed against the fletching as she waited for her mark to still. At first, she couldn’t tell what it was. The shade of the trees and the odd shape made it difficult to discern. It wasn’t until the thing seemed to bend over that she realized it was human. Her eyes narrowed. A Kettian perhaps? She prayed it wasn’t a Kett soldier. They typically didn’t respond well to the Tezarran people. Especially the females. That is to say, they enjoyed the presence of the woman greatly. Sometimes… a little too greatly. See, to the Kett, her people were savages because they chose to live off the land, moving with it, instead of building large structures to shove as many people as possible into and filling it with gold and other useless objects. She suppressed a snort and pulled back on the string slowly. A beginner would struggle with the pace, but to her, it was muscle memory. She aimed for the Kett’s knee. Then she could drag them back to camp for her father to question before the tribe. It wasn’t until the figure turned that she realized… it wasn’t a soldier at all. In fact, it was a very dainty… noblewoman. She had yet to notice Freya. Freya breathed a quiet sigh and pulled her arrow from the string before placing it back into its quiver. Instead of confronting her at first, she decided to watch her, curious as to why a noblewoman would be so far from the capital of Kett. Something over the woman’s shoulder caught her eye and she had to bite her lip to keep from laughing. The Kettian was about to walk into one of the hunters traps. One that required rope instead of metal. With a creaking of branches and a snick she was launched into the air, trapped in a net. Most days when Ellya woke up, she would be call for her handmaids, announcing she was awake so they could assist her in getting ready for the morning and whatever daily tasks that she might have to do as a princess. But that was a normal day. In a normal time. Fortnights ago the Norcross family found the first spy and since then more catastrophes would affect their kingdom; sabotaged and burned farms, slaughtered cattle and horses, attempts on political lives. This all caused by a new enemy trying to take over what the Norcross have built and do it by any means. During this time, Ellya’s parents were more cautious with what happened day to day, having less people roaming the castle and more knights not only around the castle but strolling the streets. Last night Ellya had a conversation with one of her maids about the recent events going on, a tribal girl named Yanelli. She was one of Ellya’s personal maids and her favorite, someone Ellya felt close to a friend. She had also taught Ellya some of her native tongue, Tezarran. During this talk, Yanelli talked about recent magical events, how it reminded her of her tribe, and a story about a stone and she loosely translated it’s powers and what it could do. Immediately Ellya was intrigued about this stone and asked more about it. Yanelli went and showed Ellya an old journal with tribal markings, saying this was one of the few things she had from her tribe.Ellya asked if she could hold onto the journal for a little bit, which Yanelli agreed to, since there wasn’t much left of a reason for her to keep it and would probably be thrown out if found by the guards. Later that night Ellya has a dream about the stone and when she woke up, she knew she had to find this stone, not just for the power, but to save her family and the her people. Ellya got up and got dressed ready to go with it not even being daylight yet. She slipped on a her traveling boots and stuffed the journal into her bag with other necessary items and some extra clothes. Ellya left a note behind before she left her room telling her family not to worry and that she would be back, before sneaking out through the servants entrance and heading to one of the secret tunnels out of the castle, which were usually used for emergencies. The princess had started her journey. Now the sun was up, slightly over the horizon, as Ellya continued through the forest. She was walking while flipping through the journal to figure out where she would start, she didn’t know much of the language that was in the book, some in Kett, some in Tezzarran, and some in other languages. Next thing Ellya knew, she was on the ground. “Gotta be careful Ellya…” she mumbled to herself as she stood up, and walked over and bent over to pick up the journal. When she gathered herself she decided she should probably hurry up, as well as pay attention to her environment so she wouldn’t trip again. A second later Ellya found herself pulled into the air and trapped inside a net, at first letting out a small shriek before wiggling and mumbling to herself about how she didn’t see the trap and was annoyed. Ellya heard a voice and turned to face the female voice, seeing a woman who she assumed was a tribal woman, and that assuming being confirmed when she spoke, luckily in common tongue. The tribal woman spoke about letting her go or just leaving her there for the tribe hunters finding her. “Oh! No, no. I would much rather not be found by hunters!” Ellya quickly said before getting a better look at the woman, though when she moved, her bag fell from the branches, it must of not have been caught in the net. But then she remembered the journal from her maid was in Tezzarran, and this woman just said these were Tezzarran’s lands. When the woman responded, Freya was a little taken aback. However, she had enough training that she didn’t show it. She wasn’t expecting the woman to react the way she had. Normally, Kett noblewomen were afraid of the Tezarran people. They were “savages” after all. However, this woman wasn’t afraid. In fact, she seemed bolstered by Freya’s appearance. Something fell to the ground as the woman in the net moved. A bag of some sort. Curious, Freya stepped towards it. Suddenly the woman exclaimed that she was a Tezarran from above her. Freya rolled her eyes but made no verbal comment. Apparently, the woman wasn’t too bright to have not made that connection sooner. Who was she expecting? A Telezite? Something about the name struck her as familiar, but Freya couldn’t immediately place it. She dropped the bag, that same small tome falling to the ground. Now that Freya could take a closer look at it, she noticed the markings of her people etched into the leather of the binding. She snatched it from the ground, flipping quickly through pages and skimming the lines. It was both in Kett and Tezarran. ”Where did you get this?” She demanded, quietly. Without really waiting for an answer, though she definitely wanted it, she sheathed her dagger, drew her bow and an arrow and aimed. It probably looked like she was aiming at the woman, though she was aiming at the rope above her. No matter what, the woman was coming down and the thing about this trap? You’re coming down hard. She loosed her arrow and it sung through the air, slicing through the rope and thwacking into the tree. She made a mental note to grab it later as she waited for the struggling woman to free herself from the net. She also took a peek into the bag to see if she had any weapons. To her surprise there were at least three small knives with blades the length of her middle finger. She glanced over at the woman. ”And I’ll be taking these.” She put them into a small pouch at her hip ”And this.” She waved the journal at Ellya, turned, and started walking towards camp. Ellya let out a gasp when the journal dropped to the ground and the Tezarran reaches for it and flipping through it. “Please be careful with that ma’am.” Ellya asked before the woman demanded an answer, which slightly annoyed her. She would have asked why she was demanding something from her, a princess, but wasn’t exactly at the position to ask the questions. Before Ellya could say anything, the Tezzaran woman drew her bow and aimed. “Wait! I-“ Ellya started to say before the arrow was fired, though it didn’t hit her but the rope holding the trap Ellya was on, dropping her hard to the ground. “Ugh, ow..” Ellya groaned as she untangalrd herself from trap. “I am thankful for you letting me down, though I would have really appreciated a warning.” She said as she dusted herself off and took off the cloth she was using as a hood, releasing her hair down before looking back towards the woman, who she saw looking through her bag. “Oh! There are some valuables and sharp things, don’t want you getting hurt.” Ellya said with a soft concerned voice, but the woman quickly pocketed her knives and said she would be taking them, this caused a wave of sadness to flow over Ellya causing her to lower her head, “but father gave those to me…” Ellya mumbled under her breath, there wasn’t much else she could do to stop her, luckily she still had two on her person hidden in her boots. Ellya looked up when the woman also said she be keeping the journal. “Hey! Wait no, I need that, plus I would really like my knives back!” Ellya said as she followed the woman through the woods. She assumed the tribe woman would lead them back to their camp, atleast there she could talk to their chieftain. “Fine, if I’m going to follow you, I would like to know what to call you." Ellya talked as they walked, making sure not to trip on anymore things or trigger whatever other traps may be littered around the woods. She watched as the tribal woman infront of her strutted and lead back to the camp, she walked with an authority and respect, though with a grace of beauty with it. Ellya also noticed the items inside her braids, also very beautiful, she made note to ask this tribal woman or someone else about them, she was curious. Ellya broke the silence after they walked some more, one thing she didn't like very much "So when I get to your tribe, would I offend your chief if I spoke in your language? I know I upset you, which I truly did not mean to do, but I wouldn't want to upset him or anyone else." The first thing Freya noticed as she walked with the woman was that she... talked a lot. Granted, most of their walk was silent. But the silence was bookended with chatter. Freya was unmoved by her protests. Just because the woman looked harmless, didn't mean that was the case. There are plenty of women in her tribe who are harmless… until they stick a knife in your gut. The rest of the walk was done in silence. At least, until the camp was in view. Then the woman had asked about her mother tongue. ”A Kett speaking my mother tongue is rare and often suspicious. The chief won’t have your head impaled on a stick for it, but I would be cautious about when you use it.” She wasn’t entirely sure why she decided to warn the woman. Although, the worst her father would really do to a young, Kett woman who randomly spoke their language was probably toss her in the interrogation tent and question her… Which is probably what he’s going to do anyway. She thought, tracing an engraved symbol with her thumb. She looked more closely at the symbols and recognized all but one. They were symbols of the gods. They were etched in a circle with the unknown symbol in the center. Something tickled in the back of her mind telling her she had seen this symbol before. But, like the woman’s name, she just couldn’t place it. They were walking through the outer rim of the camp, the hunters--seeing their princess with rabbits on her belt-- smiled and started to approach...when they saw a Kett woman behind her. Freya smiled stiffly at them and removed the rabbits from her belt. She wordlessly handed them over before continuing through camp to the center where her father was working on preparations for the celebration. As the walked, her people saw her and smiled, but stopped and stared when they saw the woman. Freya began to feel a little guilty for the way her people openly gaped, but it’s rare that a Kett woman is seen in our camp. And even rarer that she’s escorted by the princess and not roped. There were two reasons for this. The first is that the woman was in no way a threat to Freya. The second is that Freya had only scraps of rope for the animals. She could tie the pieces together but it would waste what little rope she carried. Then we go back to the first reason being that she’s no threat. She saw her father, a tall, dark haired tribal male with tattoos covering his chest, arms, and back. Each held meaning for him. Some were men lost in battle. One was for her mother who died from a sickness when Freya was only a child. One for the brother she lost in a battle against the Kerotoah tribe from far to the east who were trying to gain more land. Other tattoos were marks from his life. A tattoo for his first kill. One for his first battle. A marriage tattoo to her mother--the only woman he had ever loved. One when he became chief. And even one for when he became a father to her and her brother. Now her father was turned to her, shirtless and powerful in the sun as he sweat through the preparations. He was helping raise bigger tents on the other side of camp--not in the center where she thought he was. More tribes would be coming to celebrate since they were celebrating their tribe’s birth from the sea of their people. Their people were going to come celebrate them as they had done for their fellow tribes. A smile came across Ellya’s face, after a slight shock, when she heard the girls name, Freya. It wasn’t what she was expecting, it was a pretty name. Though Ellya wasn’t sure what exactly it meant in the Tezarran language. The rest of the walk Freya wouldn’t say much, giving a short answer about her name, but she did give details about the chief, which Ellya was relieved that she wouldn’t be “impaled on a stick.” Ellya did wonder what type of offense would be needed for that to happen, though she wasn’t planning finding out what it would take. After thinking about it she decided it would best if she just spoke in Kett, prevent any accidental offense happening. Plus they expected her to know Kett, not Tezarran. As they approached the camp, Ellya started getting a little nervous, feeling exposed and vulnerable. This feeling only increased as she watched the other tribal people she walked by stare. She stayed closer to Freya as the hunter approached and rabbits were handed off. The tribe seemed more civilised than what Ellya was expecting, not like the stories she was told growing up. Ellya was also surprised how openly Freya let her walk through the camp behind her without any binding. Wonder if they treat all people like this. Not like they couldn’t handle someone, a lot of guards and people. Ellya thought as they continued through the camp. Much like the tribe people looking and eyeing Ellya, she was doing the same back, trying to take all of it in. People cutting up meat and hanging the hides, woman taking care of children, men setting up tents; seemed like a normal society. While looking around Ellya spotted a man covered in tattoos and seemed to be telling people what to do but also helping, assuming this was the chief of the tribe. Which was confirmed when Freya called him chief followed by his name. Tonas. Once again not sure what it meant. The only name she knew the meaning to was her handmaiden’s, Yanille. Which she told Ellya meant flower. Ellya saw Freya bow and quickly followed in suite, some dirt and mud getting on her dress. She would have to remember to make sure she washed it well next time she gets the chance. With the combination of Kett and Tezarran, Ellya was barely able to keep up with the conversation, though with the few words she did know, she knew they were obviously talking about her, watching Freya hand the journal to Chief Tonas and showing him her throwing knives that were taken from Ellya, saying something about them but not understanding. The Chief switched to Kett and spoke to Ellya, asking where she got the journal and who she was. Ellya wasn’t surprised at all that she wasn’t recognized since she’s never been out here. “I’d first like to thank you for your hospitality.” Ellya said as she stood up from the ground, taking a small step forward from behind Freya to next to her. “The journal, was given to me by my handmaiden, who is also my close friend of mine back in the capital. Her name was Yanille and I believe she came from this tribe, though if not I am sorry for the mix-up.” Ellya continued, referencing the journal now in the chiefs hand. “Oh, I’m sorry for not saying who I am, not usually good at doing my own introductions.” Ellya paused for a second, looking down at her hands and taking a deep breath, not quite sure how this tribe would respond to who she was if they didn’t already know. “My name is Ellya, Ellya Norcross.” Ellya looked back up at the chief. “Firstborn child of Stannis and Catelyn Norcross, Princess of Kett.” Ellya said as she did a curtsy towards Chief Tonas. “As for why I have that journal, Yanille told me about a stone that could help me, help my people. We are being attacked by magical and non-magical sources. And I believe this is our last hope. And that journal is all I know about it.” Ellya finished, not sure what their reaction would be. Freya winced inwardly as Ellya, the princess, introduced herself to Freya’s father. Freya knew she couldn’t have known who Ellya was really. Not when she hadn’t introduced herself as most rich people do. And, in her defense, she hadn’t set up the trap the princess had been caught in so technically she hadn’t done anything wrong. Except steal from her… Great. She made a mental note to give those back… later though. Probably after they decided what to do with her. She was stunned to hear the name of a Tezarran that she hadn’t heard since she was a child. Her father’s sister, Yanille. She opened her mouth to ask but her father had beaten her to it. ”My child,” he said, ”I haven’t heard that name in nearly fifteen sun cycles, 'years' in your language. She was taken from us, many sun cycles ago. We believed her dead. Adawane.” The heart remembers. It was a saying among their people when loved ones were lost. The full statement goes Yadawana, Adawane, or, The head forgets, but the heart remembers. Freya looked away, pain slicing through her core at the term. Her father had thought his sister dead. Her mother had grieved deeply for her friend and sister-in-law. She hated when her parents were in pain. She hated when her people were in pain. The term was one of pain. Tonas looked down at the tome, rubbing his thumbs against the symbols. ”The stone, your highness, is a legend. My sister was one for theorizing the truths behind the myths and legends of our people, but you will not find the stone here. I’m sorry.” He handed the book to Freya and said to her in Tezarran, ”Protect it.” Freya nodded and stepped back. His gaze returned to Ellya. ”My apologies, your highness, for your rude introduction to our people.” He bowed his head respectfully. ”I am Chief Tonas, which you already know.” He rose his head, eyeing his daughter who gave a small shake of her head. ”This is my daughter, Princess Freya Khefkin.” He said, and Freya openly winced. It wasn’t that she disliked being a princess. She just liked it better when the princess saw her as someone dangerous and not someone on her level. ”Who’s tent you will be sharing for the night before you return to your home tomorrow.” He rose his eyebrows questioningly. Freya gaped at him. Her mouth moved to form protests, but her voice was missing. How could he invite this stranger to share her tent for the night when there were to be plenty of tents. The princess, upon hearing about the stone, had a look of hopelessness on her face. Something squeezed in Freya’s chest and she looked away. She couldn’t allow herself to be swayed by a pretty face. ”Father. I am to prepare for the annoba.” She said, voice low and using the Tezarran word for anniversary. Ellya could feel the area shift, hearing some mumbling about what she said before Tonas spoke up, discussing Yanille as if she died, and then saying she was taken from them. Ellya wanted to ask more, she had no idea about Yanille being taken, she thought maybe she ran, or got separated. Did my father force her to work for us? Ellya thought to herself as he said another word in Tezarran, Ellya assuming it was a word to do with mourning or remembering. Though the next words out of his mouth were hard. He had just told her the stone was a myth, a legend. Her only hope to help her people, not real. ”But…” Ellya barely mumbled, speechless. She felt like she just lost everything, destroyed. Ellya was brought back to the situation around her when Chief Tonas introduced himself, and then called Freya, who Ellya thought was just a normal tribal, a princess. Ellya was surprised that a tribe would have a princess, maybe they were more similar than she first thought. Ellya stayed quiet though, still heartbroken over the news about the stone. She looked over at Freya and could tell she wasn’t too happy about being told they would be sharing a tent. The princess and her father spoke about a celebration that would be happening, maybe this would lighten the mood. “Thank you.” Ellya said in Tezerran and in reply to staying in a tent and being invited to the celebration before returning to the work he was doing before Freya brought Ellya before him. Ellya turned and faced the tribal woman she just found out was a princess. “I’m sorry. Didn’t mean to cause any harm or pain. I’ll be out of your tent and camp in the morning. Speaking of which, may I ask where your tent is?.” Ellya asked, she felt terrible for being here now. For bringing up her handmaiden to the tribe, wasting their time with her dream chasing, as well as annoying this tribal princess. Use your INK to craft new artifacts in The Gods' Stone. Once created, Items cannot be changed, but they can be bought and sold in the marketplace. This is the auto-generated OOC topic for the roleplay "The Gods' Stone"